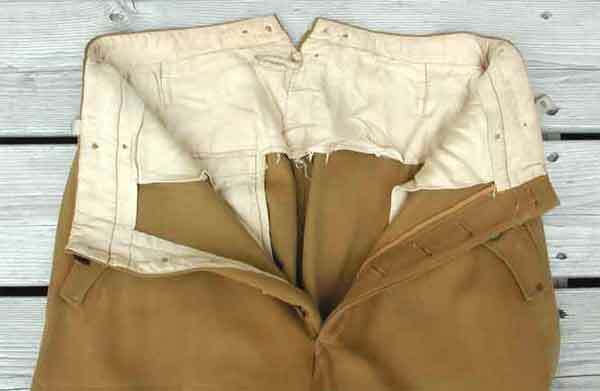 NSDAP Leaders Pants: the three political buttons on the front and back pockets are marked "P" in a circle and "M - 5/314," back pocket has a cloth NSDAP tag. 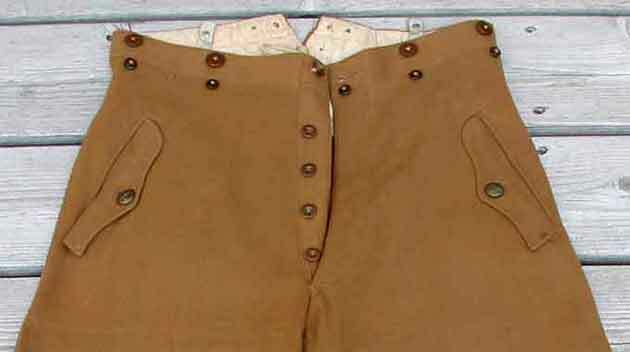 Two buttons missing on each leg. 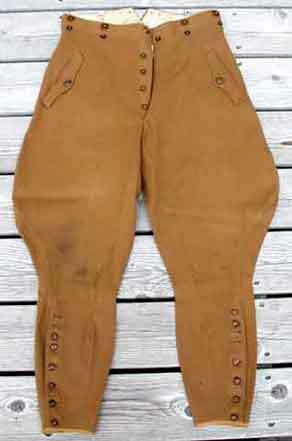 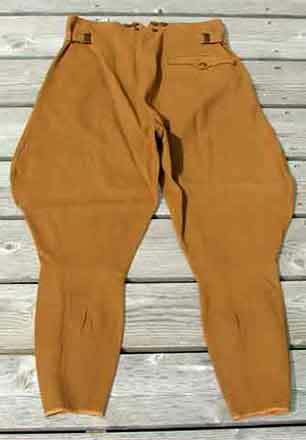 The right leg of the pants shows some dirt which should come out no problem with dry cleaning.